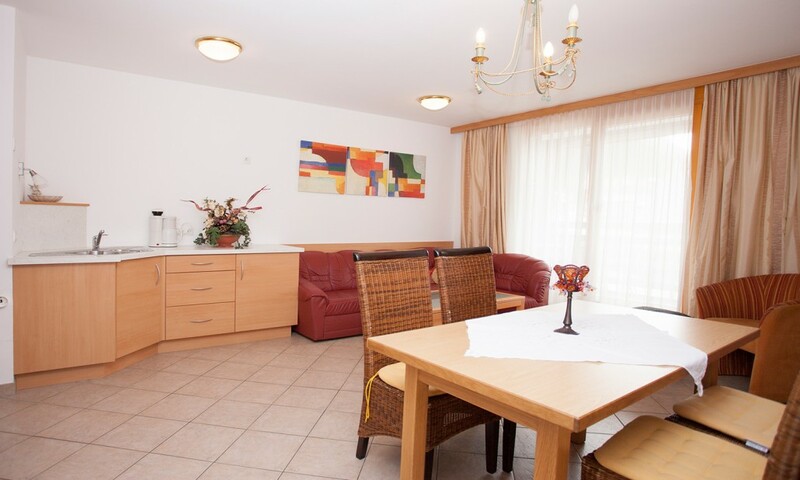 Those who want a holiday that allows for flexibility and independence should go for our holiday apartment Schlosshof, which is only a few minutes’ walk away from the centre. 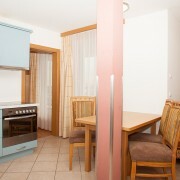 The apartment is modern yet comfortable and it is fully equipped to leave nothing to be desired. 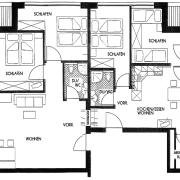 It features four bedrooms, a living room, a combined bed-sitting room, two bathrooms and two terraces. Two garage parking spaces are available for the residents of the apartment. The kitchen is equipped with everything needed to prepare meals and dine which allows you to benefit from the advantages of self-catering. Other than that you can find a great number of restaurants, bars and pubs nearby. The same applies to shops for food and other commodities. 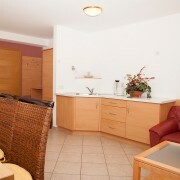 The price for the holiday apartment is available on request! 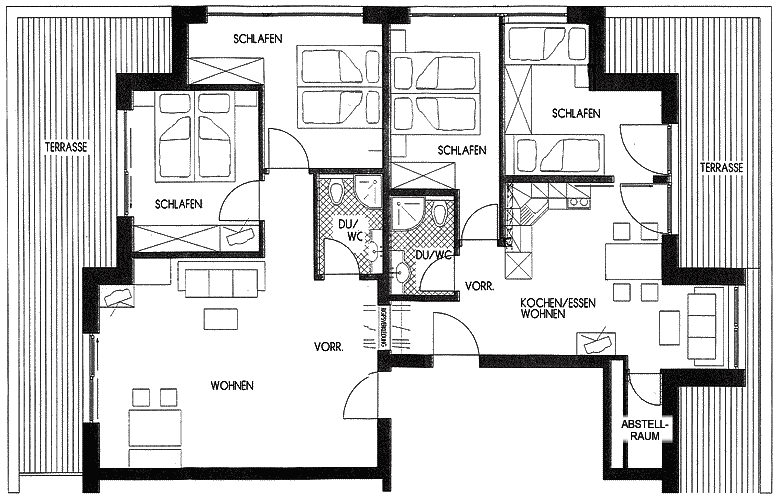 Four bedrooms offer enough space for 6 to 8 persons. 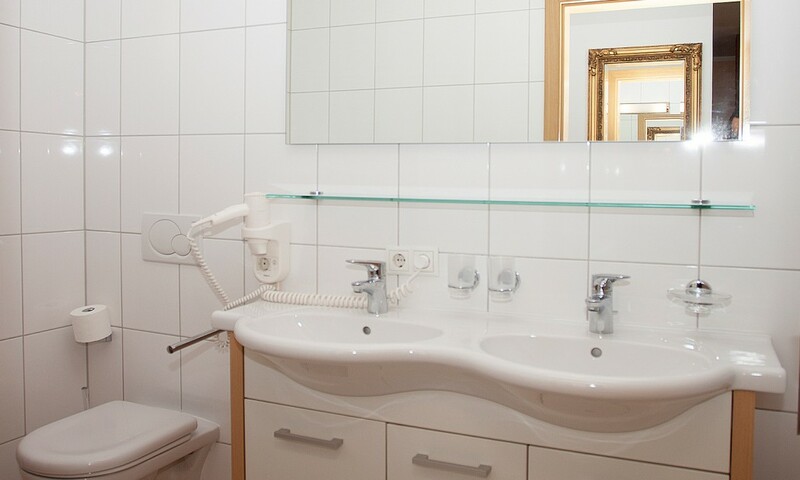 Two bathrooms, one with bathtub and toilet and one with shower and toilet. Free WiFi is available in all of our rooms. 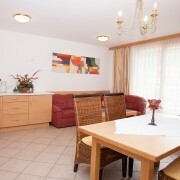 The apartment features a living room that invites you to enjoy your stay in a cosy atmosphere. 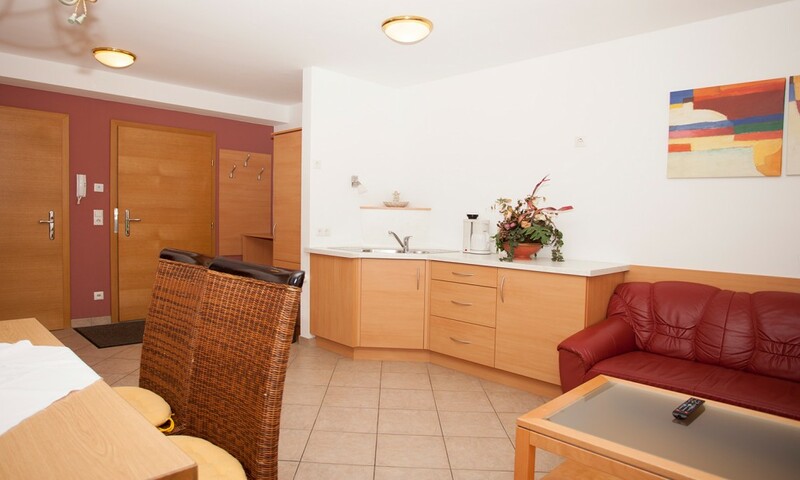 The fully equipped kitchenette is ideal to prepare and enjoy delicious meals. 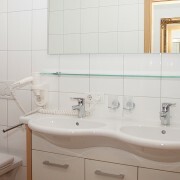 Our holiday apartment is equipped with flat TV, radio, telephone and safe. From the two terraces you can enjoy a superb view over the stunning mountain scenery. Two garage parking spaces are available for the residents of the apartment.